Capture of the 21-foot (6.4-meter) long spacecraft by the station’s robotic Canadarm2 came at 6:05 a.m. EDT (10:05 GMT) April 22, 2017. Expedition 51 Flight Engineer Thomas Pesquet of the European Space Agency as well as Commander Peggy Whitson of NASA were at the Robotics Work Station in the Cupola window controlling the arm. “Achievements like this are [the] fruit of the hard work of space agencies and private companies and international cooperation across the world, and are what truly make the ISS such a special endeavor at the service of all mankind,” Pesquet said. 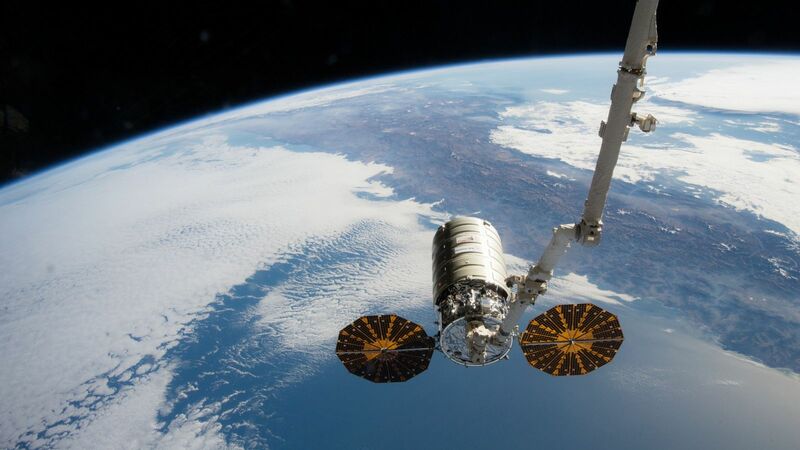 Cygnus launched on April 18 atop an Atlas V 401 rocket from Cape Canaveral Air Force Station’s Space Launch Complex 41. 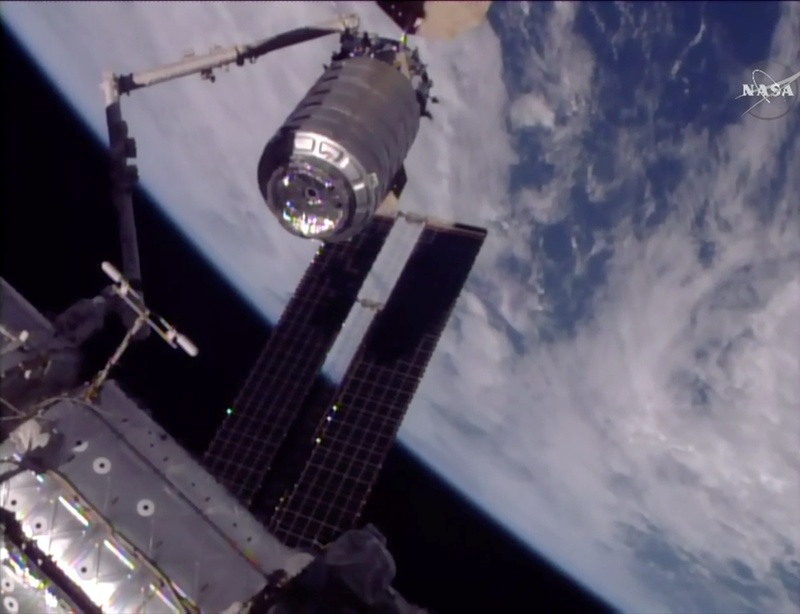 It is carrying with it some 7,500 pounds (3,400 kilograms) of cargo, crew supplies, and experiments. The cargo aboard Cygnus includes many new experiments such as the Advanced Plant Habitat, which is a fully enclosed, environmentally controlled compartment that will be used to perform plant bioscience research. The container box is 18 inches (45 centimeters) on each side and is covered by a plastic top.